SARASOTA, Fla. (Dec. 11, 2014) — Redevelopment of Sarasota’s Forest Lakes golf community – which has been stalled for nearly a decade – is finally moving forward. 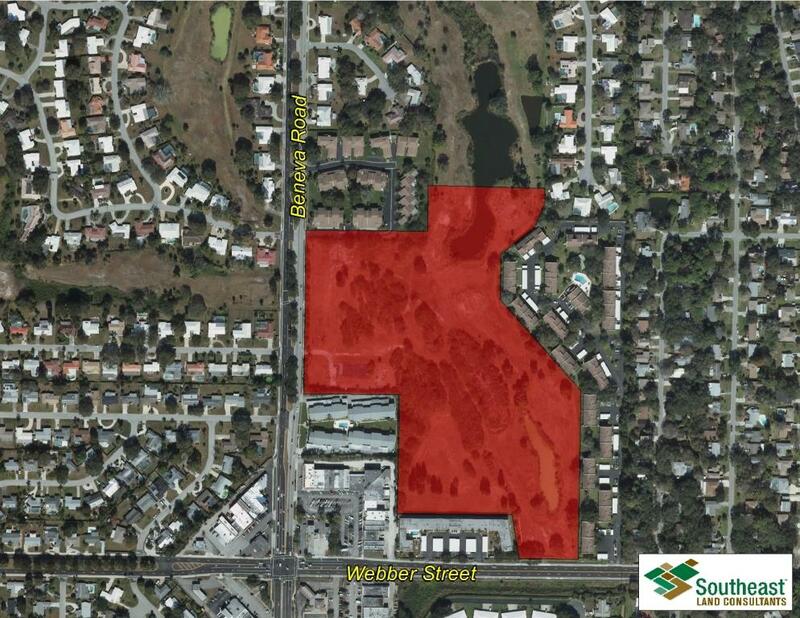 Mattamy Sarasota, LLC purchased 24 acres of land for residential development contiguous to the proposed new golf course for $5.88 million this week. The site is located on the northeast quadrant of Beneva Road and Webber Street in Sarasota. David Berner and Bill Short, CCIM, of Southeast Land Consultants, Inc. (SLC) represented the seller, Grosvenor Square Capital, LLC, in the transaction. Zoning allows Mattamy Homes to build up to 202 residential units on the site. The homebuilder plans to build a mix of one- and two-story villas and two-story townhomes priced from $220,000 to $260,000. Site development is expected to begin within four to six months, with the expectation that new residential units will be ready for sale within a year. Meanwhile, redesign and redevelopment of the contiguous Forest Lakes Golf and Country Club – which fell victim to the Great Recession in 2007 and has garnered local news coverage questioning the property’s future – is also moving forward. Permitting and construction plans for a new golf course, aqua driving range, 8,500-square-foot clubhouse and restaurant on the remaining 74 acres of the former golf course are underway. “After eight years of not having a golf course, only to see weeds and dirt mounds throughout the property, many of Forest Lakes’ homeowners in the immediate area are very excited to see redevelopment plans moving forward,” said Short. Once one of the more popular 18-hole golf courses in Sarasota, the Forest Lakes course and community clubhouse were razed at the height of the housing bubble in 2007 to prepare for luxury condominiums. The real estate market then collapsed, and the property went into foreclosure. The new owner, Grosvenor Square Capital, hired SLC in 2012 to reposition the property for a use more congruent with today’s post-recession market. “The previously approved 189 condominium units designed as three story over parking at a maximum height of 55 feet was not the right product for this site,” said Berner. SLC recommended expanding the residential development area to 24 acres and amending the zoning to allow up to 202 residential villa and townhome units. The zoning amendment was approved on Sept. 24.